Brick Township schools are often a paradoxical illustration of the complexity of school rankings. High graduation rates, an expanding selection of advanced level classes and a turnaround in lower grade mathematics scores are tempered by the district’s lagging performance in one of the state’s most major categories when it comes to education data – college and career readiness. The statistics included in the state’s School Performance Reports, which have now replaced the old “report cards,” can be tricky. The one thing educators statewide agree upon is the fact that the data shouldn’t be used to pit one school, or one district, against another. This recently-released performance report for the 2013-14 school year shows both triumphs and challenges for the district. Overall, the district was considered “average” in student proficiency – the terminology used to indicate a passing score – on standardized tests in language arts and math last school year. The district’s schools, combined, were ranked in the 48th percentile compared to the rest of the state, meaning just under half of other schools district’s didn’t perform as well, and just over half performed better. 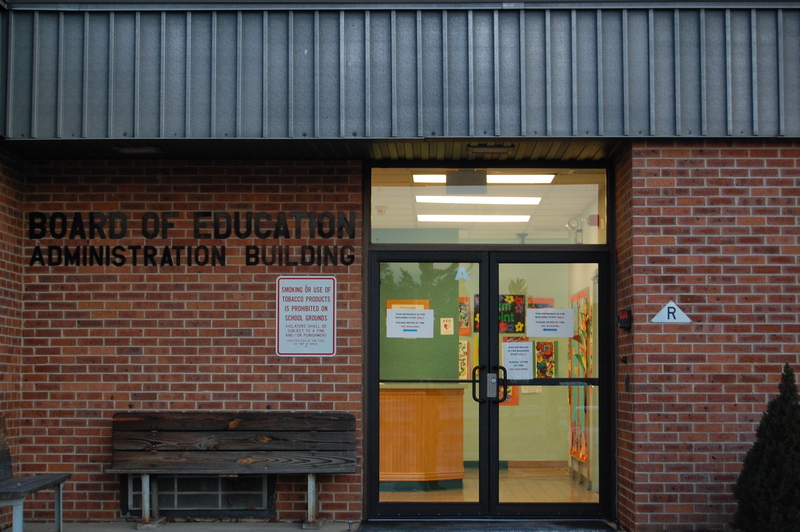 Likewise, the district met 58 percent of the state’s various performance targets that the Department of Education has set for schools to achieve – a level that is considered average. Elementary level math, the subject of much debate after “Everyday Math” was introduced to the district, then removed after current superintendent Dr. Walter Uszenski was hired by the district, was a win for Brick. Its students ranked in the 68th percentile among those in their peer schools – schools the state considers similar to Brick in size and socioeconomic status – and in the 54th percentile statewide. Likewise, the district’s middle school students performed well in math, reaching the 64th percentile against the state and the 44th percentile among their peers. The data showed elementary students did not perform as well in language arts and literature, though they improved by middle school. Elementary students were ranked in the 28th percentile among their peers and the 37th percentile in the state; middle schoolers were ranked in the 60th percentile among their peers and the 68th percentile as compared to the state. Both areas experienced “typical growth” in scores over time, McNamara said. The high school results were not as positive. In language arts, high school students ranked in the 21st percentile among their peers and the 33rd percentile compared to the state as a whole. Math proficiency rates earned Brick a spot at the 36th percentile among its peers and the 39th percentile statewide. School officials are working to improve the performance of high school students by focusing on a number of areas that are considered critical to ensuring a student’s success, including a focus on attendance for freshmen. “It’s believed that if you instill that at the freshman level, it will continue through the whole four years,” said McNamara. In the area of College and Career Readiness, which has posed a challenge for Brick (see a previous Shorebeat report for details), students were ranked in the 34th percentile among their peers and the 35th percentile statewide, considered lagging performance. 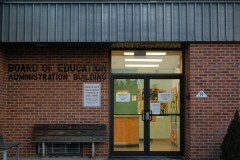 Brick Township High School and Brick Memorial High School met 20 percent and 40 percent of state goals in the category, specifically, a product of a limited number of students taking advanced classes and a lower percentage of students taking the PSAT and SAT exams than their peers statewide. The state begins ranking College and Career Readiness in the elementary grades. There, the rankings have limited tangible use – they’re based solely on student attendance rates, McNamara explained. In the middle school grades, the rankings are based on attendance and the number of students Algebra 1. At the high school level, the aforementioned AP class attendance rate, the number of students taking Advanced Placement (AP) tests and passing with a 3 or higher, and the number of students taking the PSAT and SAT exams are all taken into account. To help improve performance, Uszenski implemented a program where all high school sophomores will take the PSAT this year, which studies have said helps prepare students for higher SAT scores and spurs some students to take the SAT in the first place and go on to college. This year, both high schools added a fourth year of math classes and are fostering increased collaboration with guidance counselors to offer both students and parents more materials on college and career readiness. The district also added additional AP classes this year, a priority Uszenski set when he was hired in Brick. District-wide, McNamara said walkthrough teams are informally observing teachers to gather data which will be poured over by Data Analysis Teams to “identify trends, areas of strength, and opportunities for improvement.” The district has also overhauled its evaluation methods, instituting an evaluation advisory council and creating a “professional learning community” where teachers can better collaborate. “Our district should be commended,” said Board of Education member Frank Pannucci, Jr., adding the district is “aggressively attacking” the state’s goals to improve scores. To read the individual School Performance Reports for each of the Brick district’s schools, visit the state Department of Education’s website.